When you're booking a gig, what costs should you expect the promoter to cover and which ones should you expect to have to pay for yourself? There is no simple answer. The cost of putting on a show can be enormous, and depending on how much money your gig is expected to generate, a promoter may want to try and share some of the financial risks with you. Some of the costs a concert promoter may pay (these are in addition to any guarantee you have for the show) include accommodation, Food/drinks (also known as a rider). and gear rental. However, the short answer to the original question is that a promoter is not required to pay any of these costs. These things are all part of a larger deal that includes the money you will be paid to play, and they essentially have a right to offer you what they think is fair, and you have the right to decline their offer if it doesn't work for you. Unless they are charging you money to play, refusing to, say, pay for your beer and wine after the show isn't inherently unethical. Asking you to pay to take the stage is out of the question, but any other kind of deal is fair game. That doesn't mean you might not encounter situations in which you have to turn down shows because you can't afford to make it work, but that's not the same as getting ripped off. Of course, getting a promoter to pay for these things is ideal. The easiest thing to get a promoter to cover is a rider, and the hardest thing is gear rental. Lots of big name acts don't even get gear rental covered. Accommodation is somewhere in the middle. Sometimes free accommodation, such as a floor in someone's house, is on the table and that's easy to score. A hotel room for everyone in your band? That's a little trickier. Demonstrate to the promoter that you have press/radio lined up that will make their promotion job easier and that may help increase the turnout for the show. 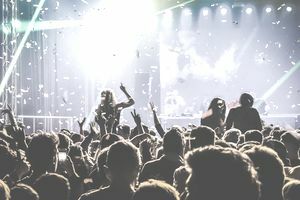 If you're working with a promoter who has never booked you before, let them know what your audience is like in other towns so they can get an idea of what kind of crowd they might expect. Above all else, be reasonable! Sure, getting a promoter to give you a big guarantee, plus a gourmet meal and rooms in the best hotel in town might be fun, but are you pulling in enough people to justify that kind of expenditure? In this great musical circle of life, no one wins when indie musicians try to force indie promoters out of business! To that last point, if you're an up-and-coming band trying to build your following, it is almost always in your interest to compromise with promoters who can put you in front of an audience. Touring is often something that leaves musicians in the red when they're starting out, and that's an unfortunate truth. It may be a good investment in your future, though. Live shows are incredibly valuable in developing your fan base. The beauty of working on the indie level, including with indie promoters, is that neither you nor the promoter is bound to follow any cookie-cutter deal format. So work with them to develop a deal that works for both of you. If you can't get money for a hotel, then ask if there is someplace you can crash for a night. Instead of a large rider, get a few drinks and sandwiches and pay your way for the rest of the night. Not only can compromising with the promoter help both of you make the night a success, but your willingness to do so is goodwill in the bank when it comes time to book your next tour.